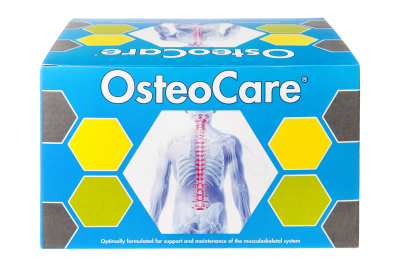 OsteoCare is a specific blend of omega oils, Vitamins, minerals and natural anti-inflammatory compounds that provide important nutrients that the skeletal system needs on a daily basis. 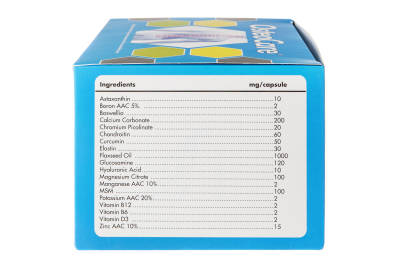 The combination of omega 3 oil, Calcium, Magnesium, MSM, Glucosamine, Chondroitin, Hyaluronic Acid and Astaxanthin found in OsteoCare provide the body with the nutrients necessary for easing joint inflammation and pain and assist in providing the mineral, nutrient and antioxidant support necessary for regulating the body's musculoskeletal system. OsteoCare is specially formulated to contain: chondroitin, a substance that occurs naturally in the connective tissue of the body that increases joint mobility and reduces joint pain; glucosamine, a natural chemical compound in the body that rebuilds and maintains cartilage, the rubber-like cushions in the body’s joints and MSM which lowers inflammation and improves joint repair and renewal.